Chrome is the world’s favorite browser for a reason. Google really has taken a simple and fast browser and given it the most powerful features any browser can have. It really displays how far the web has come, and at Phandroid we are totally amazed to see the latest Chrome Experiment – World Wide Maze. This internet-based game turns any site into a maze (hence the name). 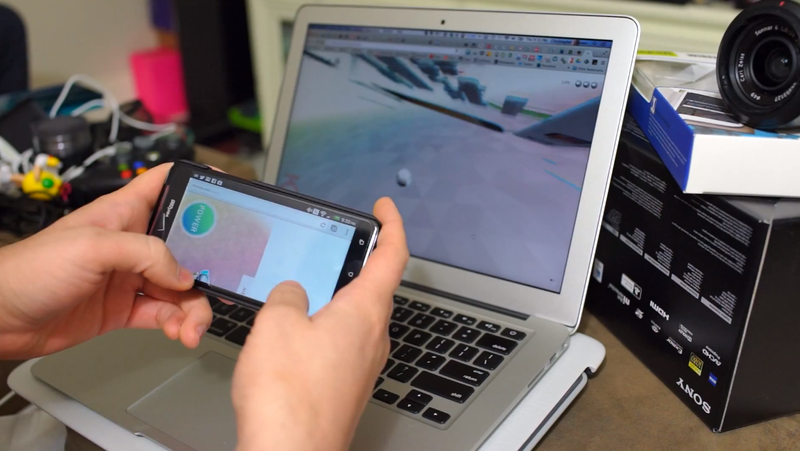 That is cool and all, but the impressive part is that it uses Android devices as controllers. It uses no cables, bluetooth, or other traditional forms of connectivity. Any smartphone/tablet with Chrome connected to the same Google account as the desktop browser can be utilized. This means the only connection between both devices is the web, which is impressive to see. As our friends from Chromespot.commention, it opens the door to many possibilities. Imagine if any internet or cloud game was able to use a smartphone as a controller. This Chrome Experiment shows us that the technology is certainly there. We hope developers start taking this idea and running with it. Maybe at some point Google (or anyone) could even sell a WiFi-enabled controller that connects to your Google account and the Chrome browser. We know powerful games can be played in the cloud, so it is not a far-fetched idea. Go play around with it at Chrome.com/maze and let us know what you think! Does this represent the beginning of a new gaming era?